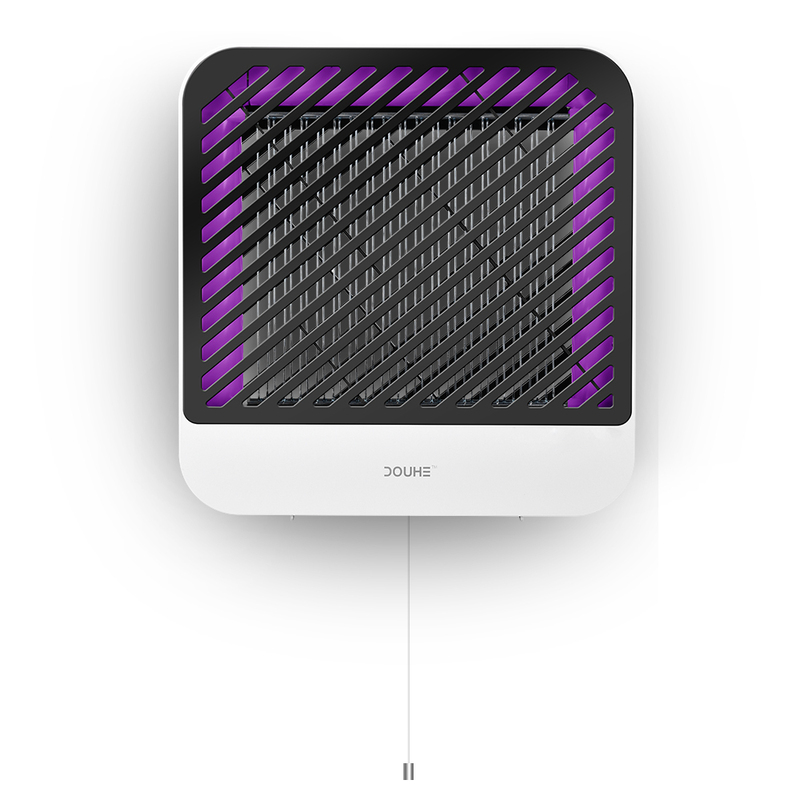 EFFECTTIVE BUG ZAPPER : DOUHE bug zapper features UV light and an electrified grid that eliminates flying pests. 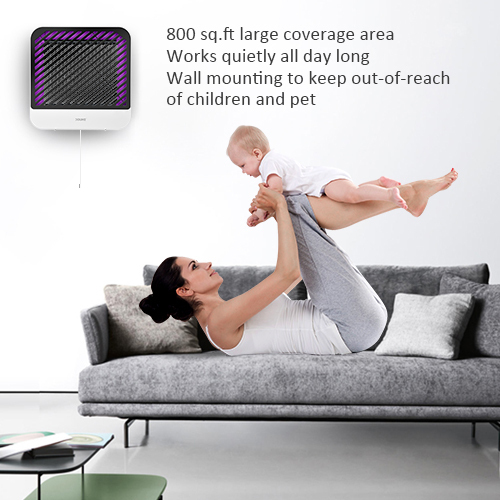 This ultraviolat light attracts all pesky flying insects into the device and instantly kill them with the high voltage charged matal grid. For improved effectiveness, we suggest buyers add mosquito attractant. 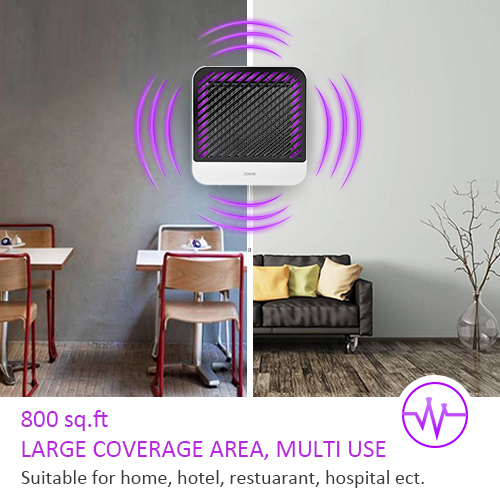 HOME & COMMERCIAL INDOOR USE : DOUHE mosquito trap covers a large indoor area up to 800 sq ft., and its size 11.8"X11.8"X2.76" makes it suitable to use at home area like living room, dining room, bed room and also fits for hospital, office, hotel, cafes, stores. etc.Forget about other bulky and greyish flies trap, you need DOUHE to hang beautifully on the wall or gracefully stand on the table. EASY TO OPERATE AND CLEAN : This indoor fly trap is featured with a pull string swith. 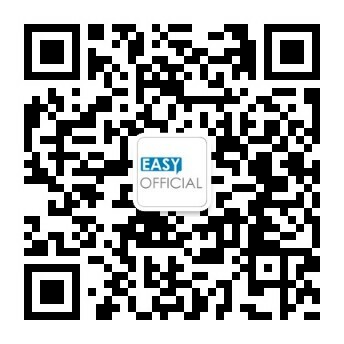 You can easily reach the pull switch and control the bug zapper without touching the zapper's body. 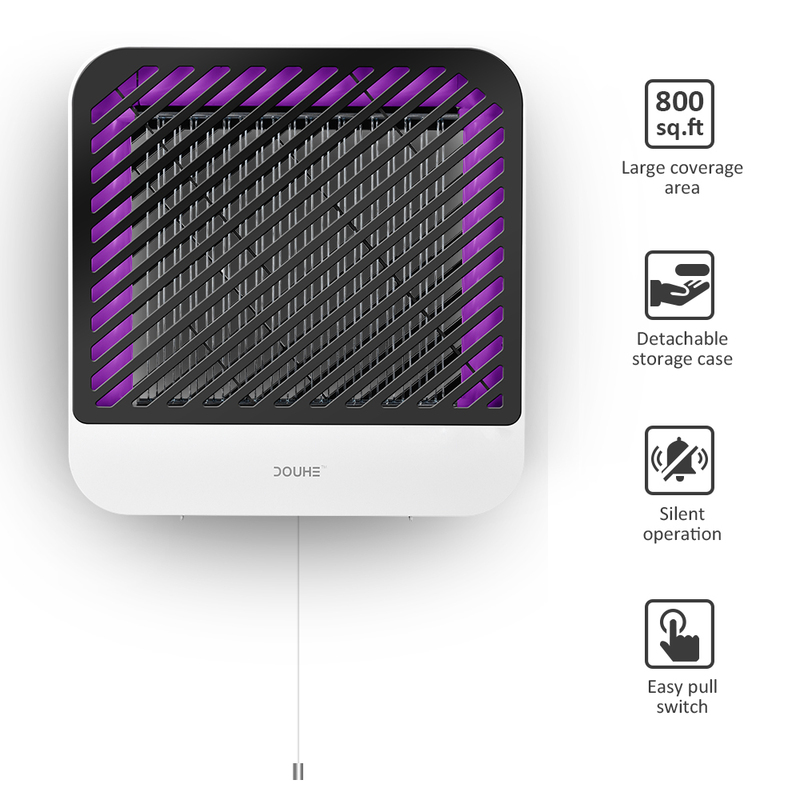 For cleaning, just pull out the detachable mosquito storage case at the lower part, and your cleaning work is done. 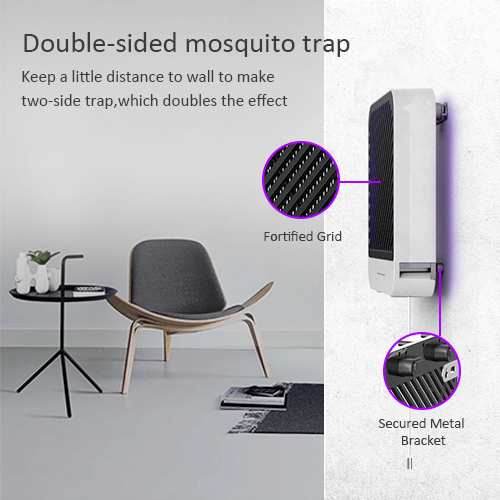 ULTRA SAFE AND QUIET : This indoor mosquito trap is made of ABS frame retardant materials to prevent any potential fire hazard.Also this bug zapper comes with high quality metal bracet to mount on the wall, perfectly secured with no swing like other chained products, and keeps children and pets out of reach. it will be very safe even you add the mosquito lure into it. 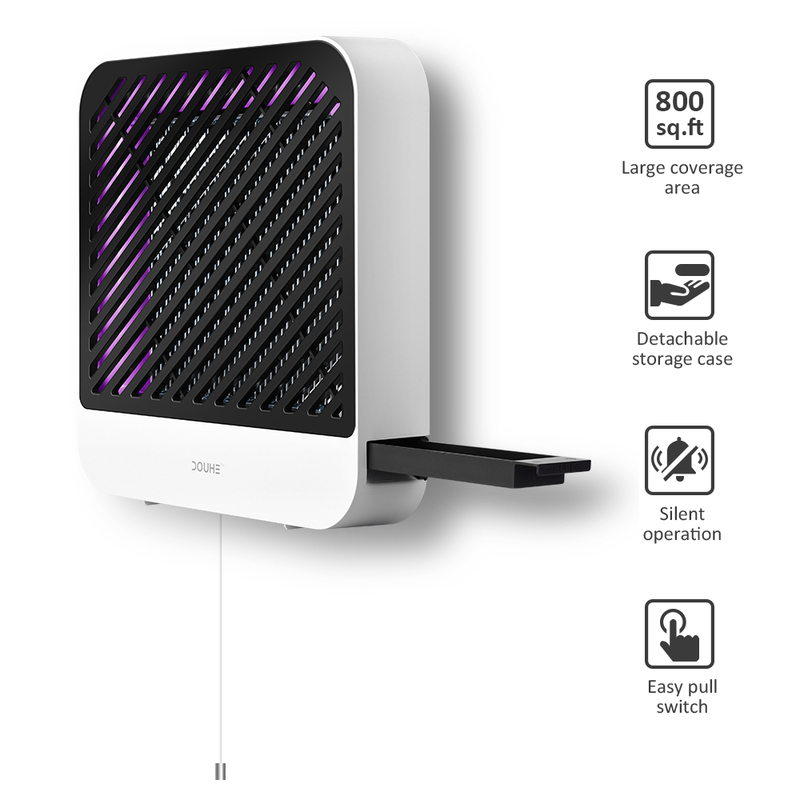 The zapper als works quietly for whole day, you will only head a loud "zap" when it catches bugs.